We are happy to announce that Dr. Laura Rattray will give the keynote address at the Wharton in Washington 2016 Conference in June. Laura Rattray is Reader in American Literature at the University of Glasgow in the UK. She has taught, researched and published widely on the life and work of Edith Wharton, serving on the editorial board of The Edith Wharton Review, while in 2013 she co-directed an international symposium marking the centenary of The Custom of the Country. 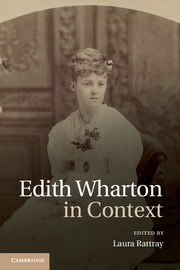 She is the editor of Cambridge University Press’ Edith Wharton in Context (2012) with a team of thirty international Wharton scholars, editor of the two volume The Unpublished Writings of Edith Wharton (Pickering and Chatto, 2009), and Edith Wharton’s The Custom of the Country: A Reassessment (Pickering and Chatto, 2010). 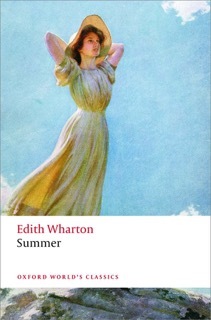 She recently edited a new edition of Summer for Oxford World’s Classics, published in August 2015, and is currently working on a monograph on Edith Wharton and Genre and the correspondence of Wharton and the Berensons.